Today is Joshua’s 30th birthday. I feel the need to rub this in a bit since I hit the big 3-0 a mere 48 hours after Amelia’s delivery and therefore, it was glossed over by everything else going on in our lives. Except that Joshua likes to remind me I am older than him and he’s pretty sure that 4 months is a significant amount of older-ness. I think it just feeds his ego to know he wooed an older woman. 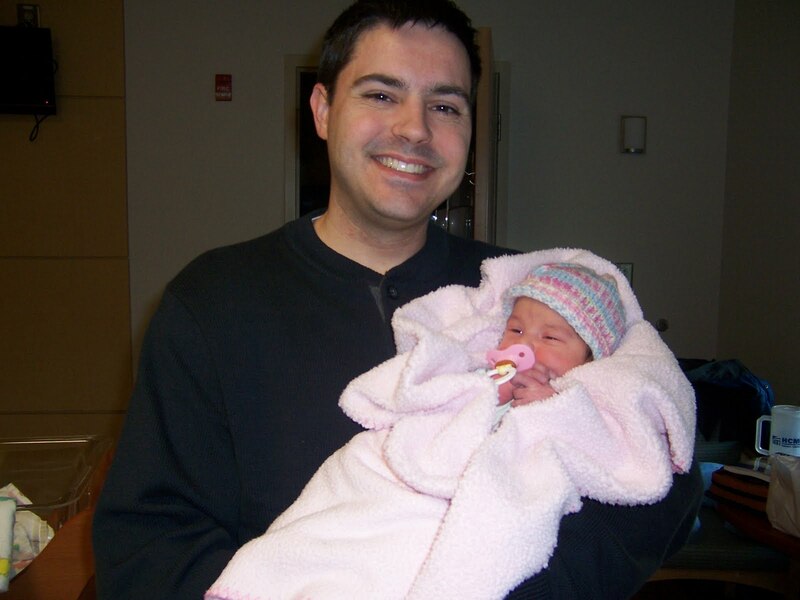 But today’s his birthday and I wanted to take a few moments to let the world (of this blog) know why he’s an incredible husband and father and person. And since I never got around to a Father’s Day blog, I figure this can also suffice for that. 1. He has A LOT of patience (this is a blessing and a curse. I’m pretty sure his patience is why he’s still married to me, but also why we were given three girls, because man, nothing tries your patience like a whiny little girl). 2. He doesn’t expect me to keep our house as clean as his mother kept theirs. 3. He will stagger out of bed in the middle of the night to put Annabelle back in hers or get Amelia if I’m too tired. Of course, I have to poke him pretty hard to get him to wake up, but he does! 4. He puts me back together when I fall apart. 5. He not only tolerates my crazy, loud, insane family, but I think he might actually like them. 6. He likes my friends and encourages me to spend time with them. 7. He thinks I’m funny. 8. He believes in me. 9. He loves his grandparents and mine and recognizes how special it is that our girls spend time with their great-grands. 10. He has an amazingly loyal work ethic. If he agrees to do something, it’s not getting done halfway. 11. His favorite Wii partner is Madelynne (he will never admit this, but she believes it is true). 12. He has taught the girls to play computer games, a quiet activity that can entertain for at least an hour. 13. He sings silly songs to the girls when he rocks them goodnight….well he did until we moved the rocking chair to Amelia’s room. 14. He’s starting to buy into my coupon craze. 15. He’s always rather eat out than eat leftovers, but he eats the leftovers anyway. 16. He is the best giver of baths because he plays games with the girls to get them to wash their hair. 17. He makes the most awesome cinnamon rolls in the world. 18. Someday we’re going to have enough money/faith/craziness to let him start his own business. 19. Everyday he drives the 20-year-old Honda Civic (without AC) to and from work so I can drive the much cooler (in the literal sense) minivan. 20. He is an awesome man of God who truly lives what he believes. 21. He will understand that the goal for this blog was 30 reasons he’s an awesome husband and father but because I am so distracted and muddled by our kids, I have only made it to 20 over a period of 3 days and now I’m stopping. great list lindsey! and great husband!